can't run this plugin with mail it seems? this is a known issue and we're very sorry about this bad user experience. 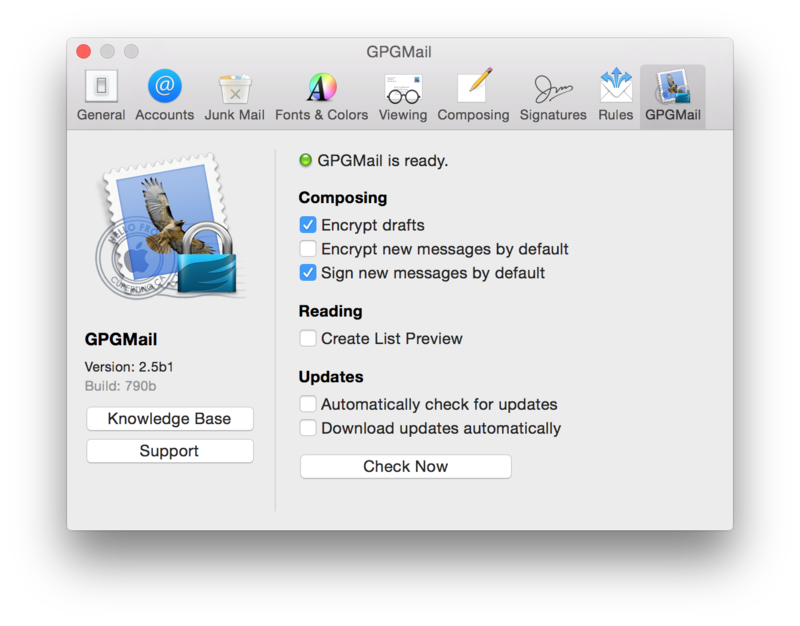 To workaround, restart mail.app and you'll be back in working state with GPGMail running. We will let you know as soon as we do have a solution available. There is no workaround for this. 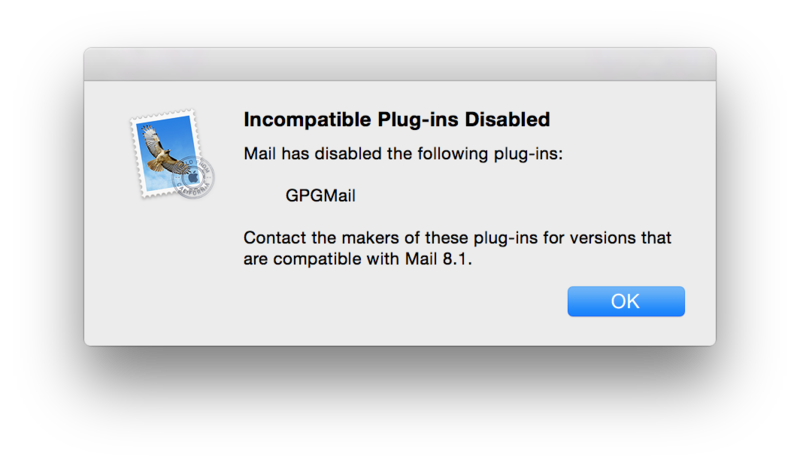 The plug in is always disabled and GPGMail will not run on Mail 8.1 at all. Same here. Now I get the Incompatible popup every time I start Mail (see attached)l. How can I get rid of it? I found the plugin in /Library/Mail/Bundles/. Move it to the trash avoided the message above. Build 790B is working for me. Build 2.5b1-790 working well here! 790b works great on 10.10.1 beta 1 & beta 2! Something strange happens on my second machine when installing 790. First machine everything works like a charm but my desktop machine shows beta expired. Double checked the file but can't find the problem. If anyone else is still seeing this problem with 790, please make sure to run the GPG Suite Yosemite Beta 1 installer first, and only after upgrade to version 790 of GPGMail. Th790b update installed for me properly. See snapshot. Great to hear it seems to work for everyone now. Closing this discussion. Should the problem re-surface, please re-open the discussion. Luke Le closed this discussion on 14 Nov, 2014 12:31 AM.